SCIEX Software Support Plans help reduce downtime, increase productivity, and lower the total cost of software ownership by providing software upgrades and comprehensive support. Access critical hotfixes and point releases; major upgrades as well as latest product enhancements will help keep pace with your evolving needs. Advanced training and access to new application software to maximize your productivity. SCIEX support is on hand from remote monitoring, to priority phone support, to instant live support for immediate assistance. No per-call fees or hidden costs for software and application support, so you won’t see surprise charges. *Plan covers all software included with the instrument: One Analyst® Acquisition software license, one Analyst Processing license and one SCIEX OS-MQ™ license for Analyst based systems OR one SCIEX OS license for SCIEX OS based systems OR one Analyst TF Acquisition license, one Analyst TF Processing license, one PeakView® license, one SCIEX OS-Q™ license and MS/MSALL with SWATH® Acquisition for SCIEX QTOF instruments. Be confident that your lab is running smoothly, wherever you are. 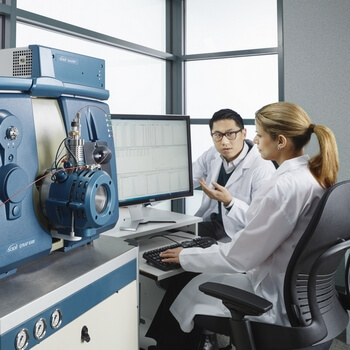 Build customized LC-MS and CE training programs most suited to your lab and users. 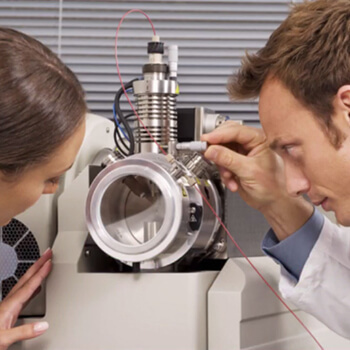 What makes SCIEX service different is our deliberate focus on LC-MS and CE technology and workflows. 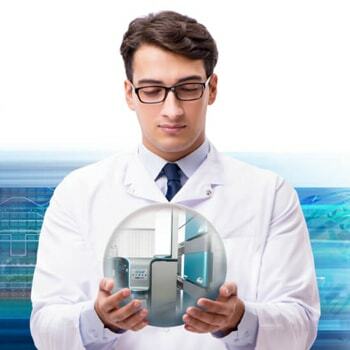 No other service provider can offer the depth of knowledge and expertise in LC-MS and CE applications. Why should I purchase a Software Support plan? Software support plans are required for you to receive full software and software application support for your contract period. Without the plan, you will not be entitled to receive software, application and workflow support unless you purchase Time and Materials Plan, which will give you one-time access to Support for that specific issue. I have a SCIEX Service Plan. Do I still need to purchase the Software Support Plan to receive software and application support? Yes. Depending on your location and the terms of your contract, you may continue to receive software and hardware support until your Service contract expires. Contact your local representative to learn how you can purchase a Software Support Plan. I don’t have a Service Plan. What are my options to receive software, application and workflow support? If you have no service plan and would like software support, you can purchase a Software Support Plan. If you have no service plan and you don’t want a Software Support Plan, you can purchase a Time and Materials Plan, which will allow you to have one-time access to support for a specific issue. What is the difference between hardware, software and application support? Hardware support covers service, repair and maintenance of your instrument to ensure optimum performance and reliability. Software support entails solving a technical software-driven issue such as a software functionality query. Application support assists you in your specialized field, such as drug discovery and development, forensics, food or environmental testing. With application support you get guidance on your entire workflow, from sample preparation to data analysis, specific to your assay application. Can I get software or application support only when I need it? What kind of support can you offer me? Yes, you can. Purchase a Time and Materials Plan, which will allow you to have one-time access to Support for that specific issue. How do I know which Software Support plan is right for me? Please contact our software support specialists who will work with you to understand your unique needs to find the best plan for your lab. I have outdated software. Which plan should I consider? In addition to a Software Support plan, you also need to get on the current version of the software. We recommend you consider the Software Accelerator Program, a limited-time offer, which helps bring your software up to date, while enabling you to spread the costs over a period of time.